Beautiful. I made it back. Yay! I love Rustan's Department Store, and a nail salon in it...how perfect is that! After the whole hullabaloo named medical emergency I needed to de-stress! Oh well, even prior to that, my toe nails are in bad, bad condition, they were chipped, brittle, and discolored given little or no break at all from varying shades of bright red and sometimes dark polish. They needed some tender loving care. 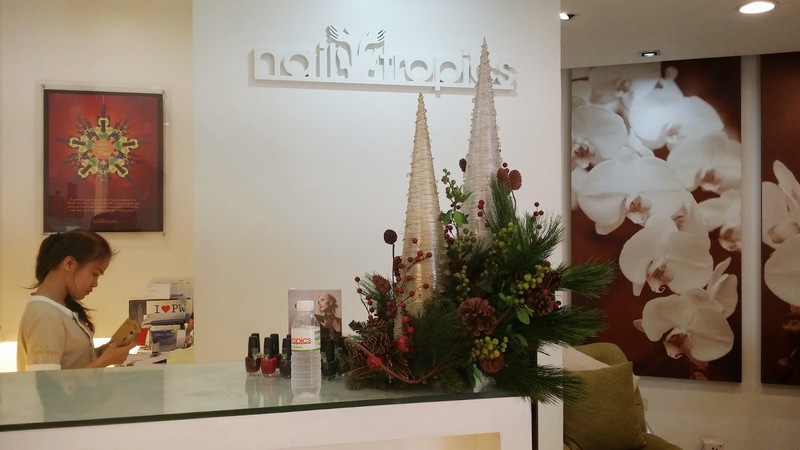 I gave Nail Tropics a try. 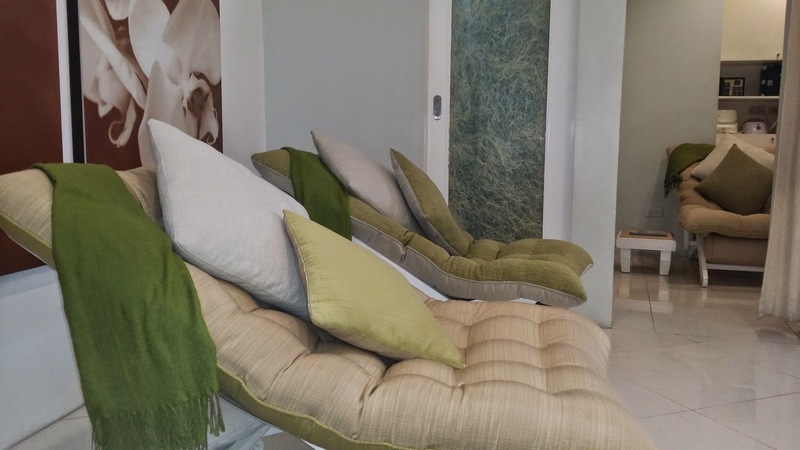 Prior to my visit, I found time to check out their website, to gauge their services and price...sweet, their basic services and blissful treatments are reasonably priced. I set out for the Lactol Pedi. Sharing my initial thoughts. Breath of Milk Blissful Treatment boasts of an ultraluxe hands and/or feet facial composed of warm milk and shea butter, followed by a nail wrap to soften severely dry cuticles and whiten stained nails, inclusive of a signature massage and polish. Lacto Pedi for Php 540. I love the treatment. See my after photo (with my latest FitFlop pair, Pietra II :-D). Although there were still some discolorations, so I was advised better not to put on nail polish just yet. Perhaps another treatment, and I'm good to go. Hello, Red Nails soon! I'm too shy to do a before picture. It's so unflattering, promise! I'm mighty pleased that my precious toe nails were saved! I almost decided to cover them up with another go of dark nail polish. So yes, the Lactol Pedi does its job of softening, fixing, and managing stained nails. The place is nice (of course, it's in Rustan's), love the plush seats, service is generally okay, and staff are friendly. But I have some wishes, just a little bit more massage time, please. And please, try not to obviously upsell. I can appreciate a good sales pitch, but please look for positive buying signals. I will not be swayed, I don't need gel nail polish for my toe nails! For my hands, I might reconsider, but you will know, when I don't show up with super trimmed nails. Hmmm, it seemed I'm emotional (hahaha! ), because it would have been a perfect "me time", but so far, so good! Haay! That's all!